Muscular injuries and other soft tissue injuries can cause pain, weakness, and limited mobility. Rehabilitation can be slow, and recovery can be expensive. Muscular injuries are among the most common injuries resulting from traumatic accidents. Our muscles are made out of soft tissue, and the forces involved in car accidents, falls, and sports-related impacts can easily cause tissue damage with painful and debilitating consequences. While individuals of all ages can (and do) suffer muscular injuries, the elderly are particularly susceptible to muscle damage, and falls in nursing homes account for a significant portion of muscular injuries among Florida’s aging population every year. In many cases, injuries to the muscles will accompany other types of traumatic injuries. For example, a deep laceration may cause damage to a muscle and the nearby nerves, ligaments, and tendons. Likewise, a tendon may tear during a bone fracture (tendons connect our muscles to our bones), and the connected muscle may suffer damage as well. As a result, traumatic injuries involving potential muscle damage require a careful diagnosis, and treatment should focus on ensuring complete rehabilitation of each damaged part of the body. At Rue & Ziffra Law Offices, we are “Your Local Attorneys” for muscular injuries in Volusia and Flagler Counties. With nine office locations throughout the Central Florida and Space Coast regions, we have been fighting for local residents for more than 40 years. Since opening the doors to our first office in 1976, we have helped thousands of clients recover millions of dollars in compensation, and we have remained steadfastly committed to serving the members of our local community. Together our attorneys have over 180 years of combined experience representing accident victims and their families. If you have been diagnosed with a muscular injury as the result of an accident in Volusia County, Flagler County, or the Orlando area, we can help you win the compensation you deserve. Every case starts with a free consultation; and with our contingency-fee representation, you pay nothing unless we win your case. We regularly hear from individuals who have suffered muscular injuries in a wide range of different types of accidents. Whether you were injured at work, in a nursing home, on the road, on the playing field, or on someone else’s property, we can help you collect just compensation for your injury-related losses. Bicyclists and pedestrians are exposed to risks for severe injuries in accidents involving motor vehicles. Cyclists, walkers, and joggers can suffer muscular injuries in all parts of the body, including the arms, legs, neck, and abdomen. From collisions between boats to waterski and jet ski accidents, the sudden jolt from a collision or the force of hitting the water at high speed can easily cause a severe muscular injury. Boating accidents are common along Florida’s coastal and inland waters, and we routinely represent clients with muscle damage, broken bones, and other injuries from accidents on the water. Dog bites can cause severe muscular injuries, nerve damage, and other traumatic injuries as well. In Florida, individuals who have been harmed in dog attacks can seek compensation for bite-related injuries as well as injuries suffered while falling during the attack. 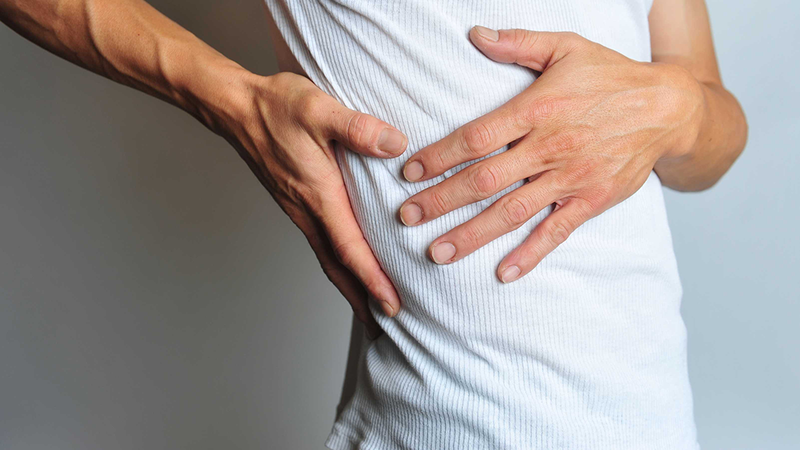 Misdiagnosis of muscle injuries is a common problem for victims of traumatic accidents. If your doctor failed to diagnose your injury, or if your muscle injury was misdiagnosed as something else, you may be entitled to financial compensation for medical malpractice. Children who are unsupervised can suffer muscular injuries in falls on slippery surfaces, in playground accidents, and under a wide variety of other circumstances. If your child was injured while under someone else’s supervision, you may be entitled to recover your family’s medical expenses and other losses. Nursing home neglect and abuse can lead to muscular injuries due to falls, lack of mobility, physical abuse, and improper use of restraints. Bed sores can cause severe soft tissue damage, and all types of muscular injuries can lead to complications for senior citizens. Muscle strains and tears are common injuries in a slip, trip, or fall accidents. Whether you tore a muscle in your ankle due to a twist or you strained a muscle in your arm or shoulder – if your fall was the result of a dangerous condition on someone else’s property, you may be entitled to a financial recovery. Sports collisions and falls are common causes of muscular injuries among both children and adults. While not all sports-related accidents will support claims for financial compensation, some will, and you deserve to discuss your rights with an experienced personal injury attorney. Falls, vehicle collisions, machinery, and equipment accidents, and various other types of work-related accidents can cause muscular injuries. If you were injured on the job, you may be entitled to workers’ compensation benefits, personal injury damages, or both. Q: What are the symptoms of a muscular injury? Q: What are the treatment options for muscular injuries? Treatment options for muscular injuries fall into three main categories: (i) medication, (ii) physical therapy, and (iii) surgery. Medications such as nonsteroidal anti-inflammatory drugs (NSAIDs) can help reduce swelling and relieve pain from muscle strains, and physical therapy can help repair the muscle and return it to its normal strength. For muscles that are torn or ruptured, surgery may be required. Q: Can I seek financial compensation for a repetitive stress injury? Potentially, yes. Repetitive stress (or repetitive strain) injuries are muscular injuries that result from overuse of a particular muscle over an extended period of time. If you suffered a repetitive stress injury at work (e.g., from regularly lifting heavy items or typing on a computer), you may have a claim for workers’ compensation benefits. Even if your injury is not work-related, if you are unable to work as a result of a repetitive stress injury, you may be eligible to apply for long-term disability or Social Security Disability (SSD) benefits. Q: What should I do if I am concerned about a muscular injury misdiagnosis? If you believe that your doctor may have misdiagnosed your muscular injury, you should seek a second opinion from a physician who specializes in diagnosis and treatment of traumatic muscular injuries. Be sure to tell your doctor about your accident, and try to provide as much detail about your symptoms as possible. If you need help finding a doctor in Volusia or Flagler County, contact us and we will be happy to provide you with a referral. To schedule your free initial consultation at Rue & Ziffra Law Offices, please call (386) 788-7700 or contact us online. We are here for you 24/7.